Two men are in custody this morning after witnesses reported seeing shots fired at North Avenue Beach late last night. 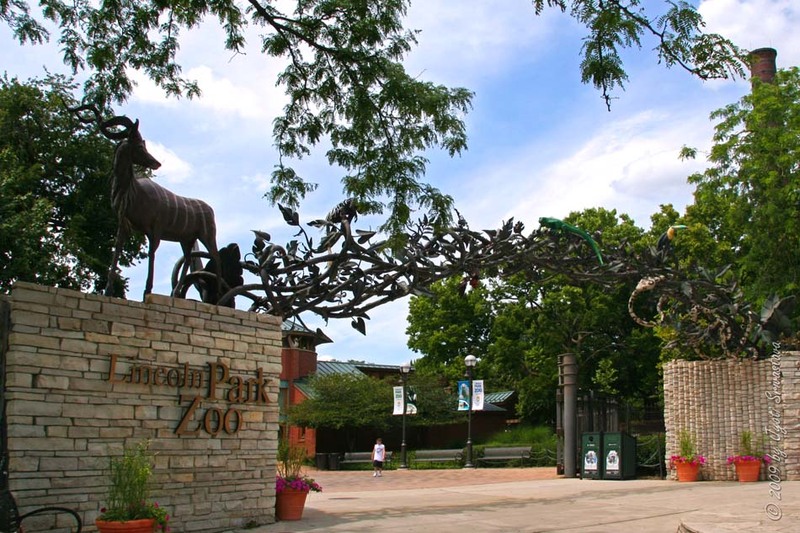 One suspect who fled from police was arrested inside of Lincoln Park Zoo. Events started to unfold at 11PM when witnesses reported seeing a man fire six shots on the beach near the pedestrian bridge. The gunman and a companion—described as a shirtless black man and a white man—were last seen running across the bridge and into nearby baseball and soccer fields. Witnesses directed officers to the area of the zoo parking lot along Cannon Drive. There, cops soon reported hearing another round of shots being fired in the immediate area. 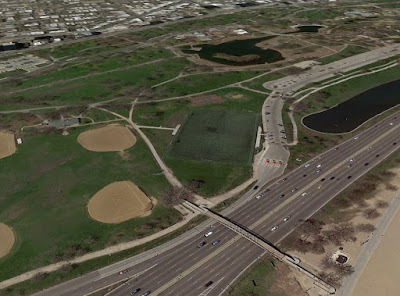 The pedestrian bridge, ball fields, and zoo area on Google Earth. 18th and 19th district officers quickly engaged a suspect in a foot chase that led them into Lincoln Park Zoo. The suspect, described by police as a shirtless black man with a gun in his right hand, was taken into custody "in the middle of the zoo" according to an officer. A large contingent of cops fanned out in an attempt to locate the man's weapon, which they believe he ditched near the zoo's Nature Boardwalk. The second individual was arrested in the zoo parking lot. It was not immediately known if a gun was recovered.